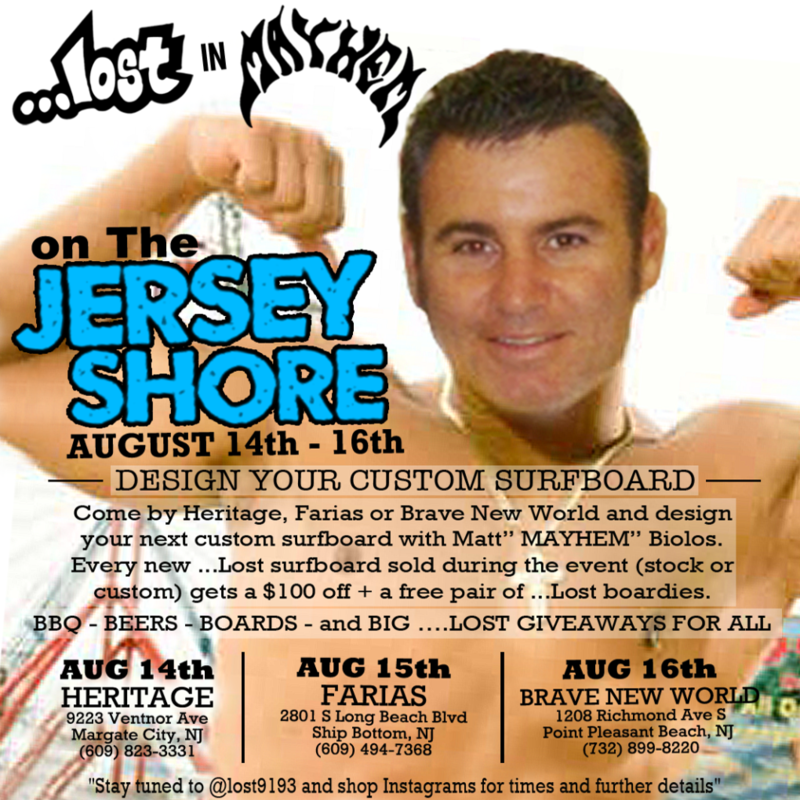 Come by Heritage (Aug 14th), Farias (Aug 15th) and Brave New World (Aug 16th) in New Jersey and design your next custom …Lost board on CAD with Matt “Mayhem” Biolos. Pick his brain on surfboard tech, function and design. Every new …Lost board sold (stock or custom) gets $100 off plus a new pair of …Lost boardies. Plus BBQ, beers, boards and more …Lost giveaways. Stay posted to @lost9193 for updates on times and further details.